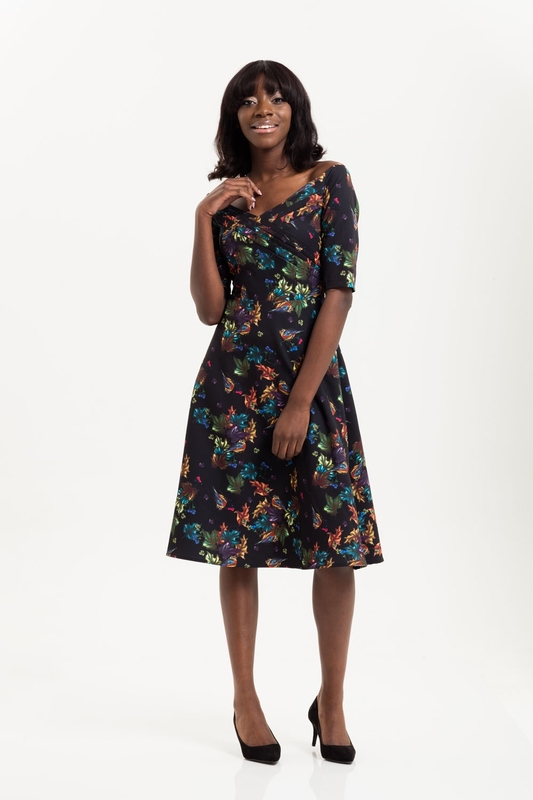 All the grace of Bridget Bardot this vibrant floral dress deserves to be flashed around this winter, with a gorgeous flattering shape and colourful print, you won't even need to think about your grace! Love the look? Check out the Mia Tea-Time Full Day Dress!